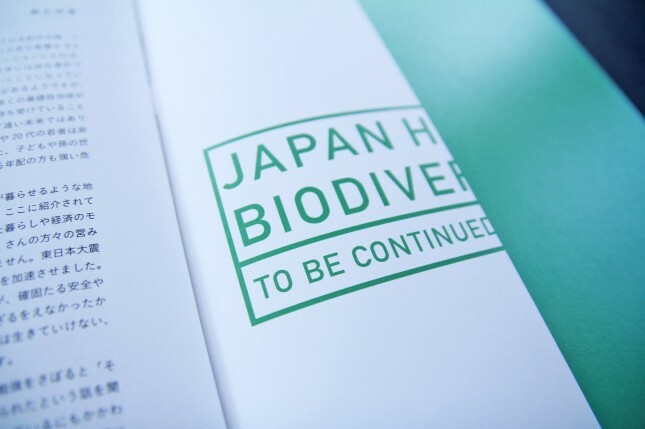 Japan Civil Network for United Nations Decade on Biodiversity was formed on 2011 to focus on tackling a problem of biodiversity for ten years from 2011 to 2020 when COP10 was held in Nagoya, Aichi on 2010. 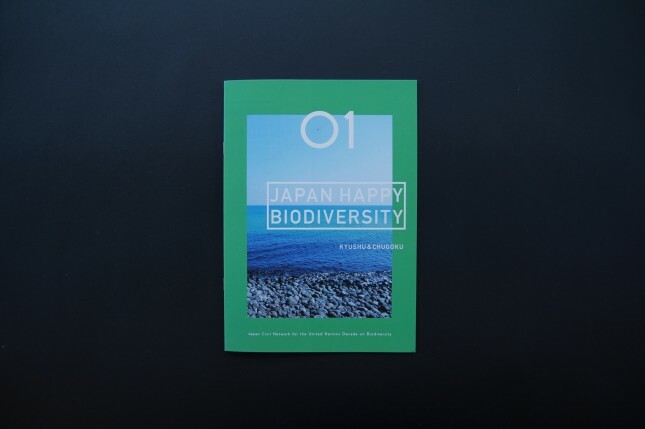 The concept called ‘biodiversity’ was acknowledged all over the world but many members of the population don’t possess it in Japan yet. 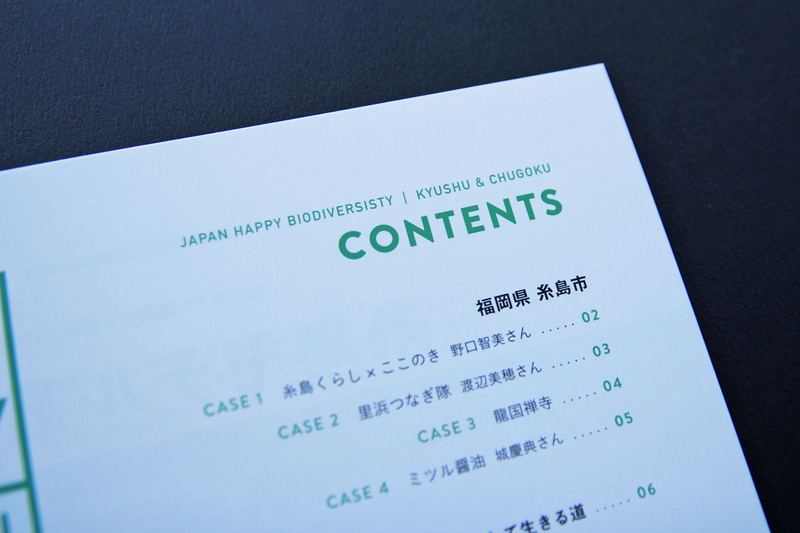 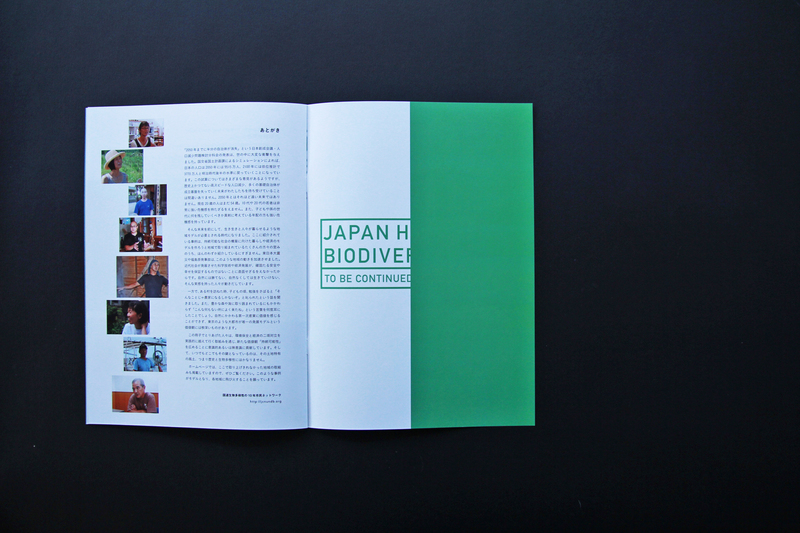 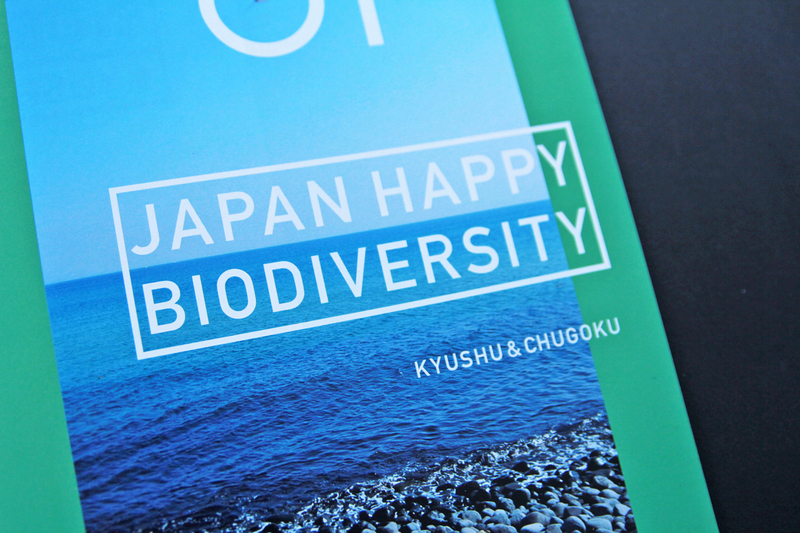 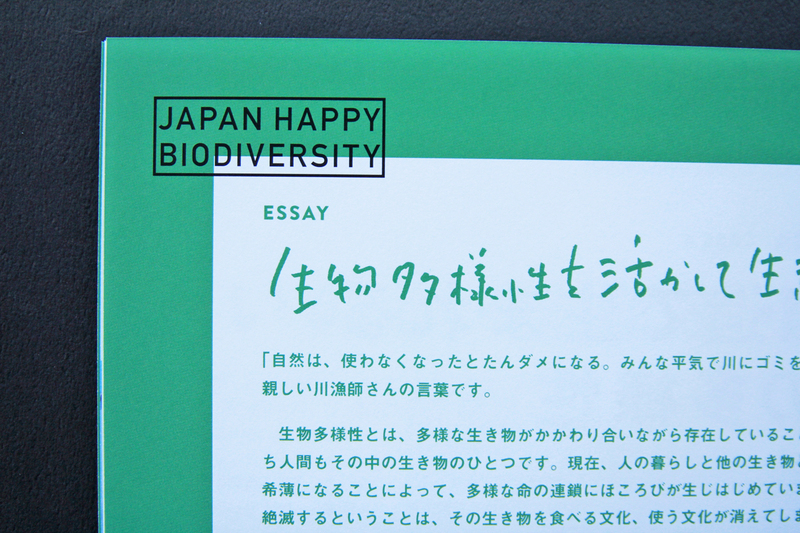 On March of 2016, a new book ‘JAPAN HAPPY BIODIVERSITY’ is made by Japan Civil Network for UNDB to let people know the correct interpretation and some successful cases in Japan about biodiversity. 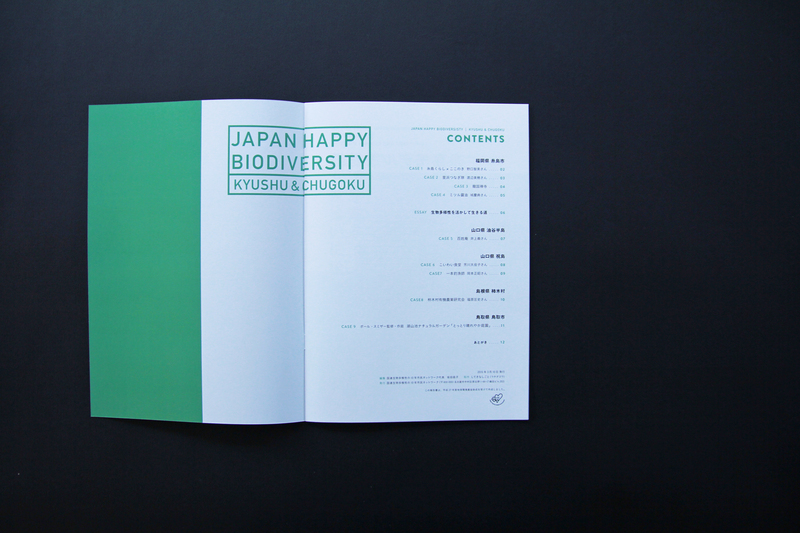 I was in charge of the branding, naming and editorial design of the book. 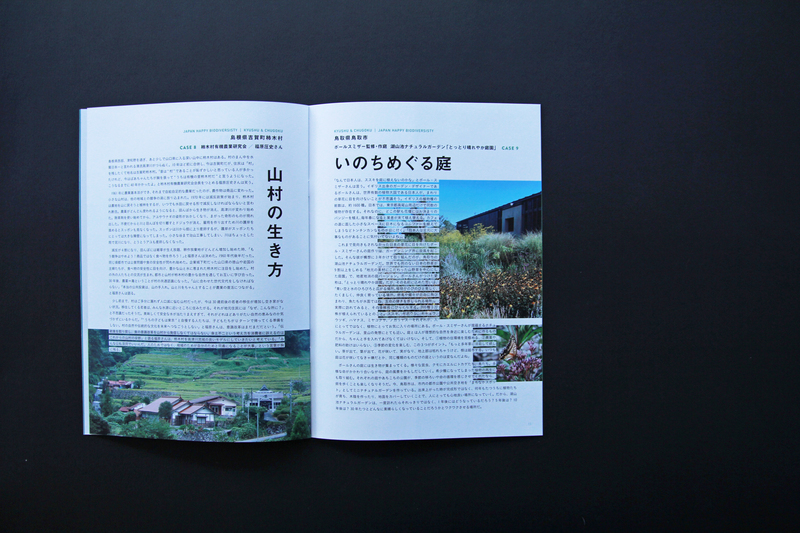 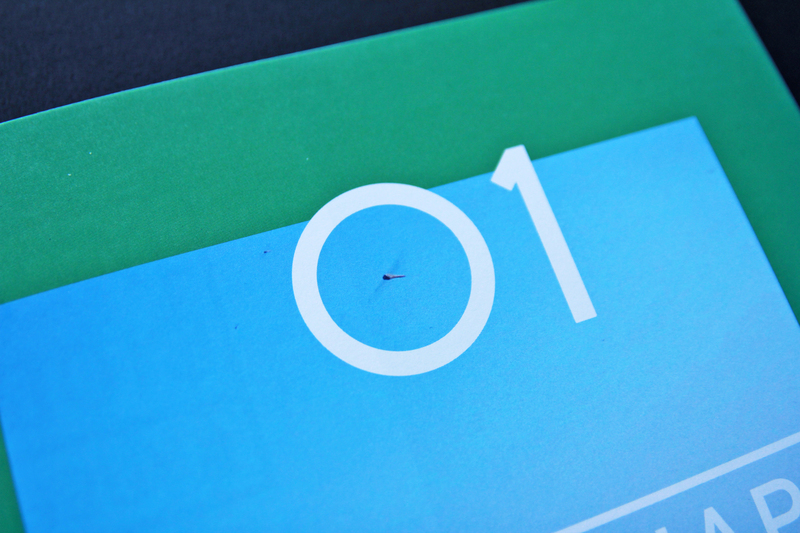 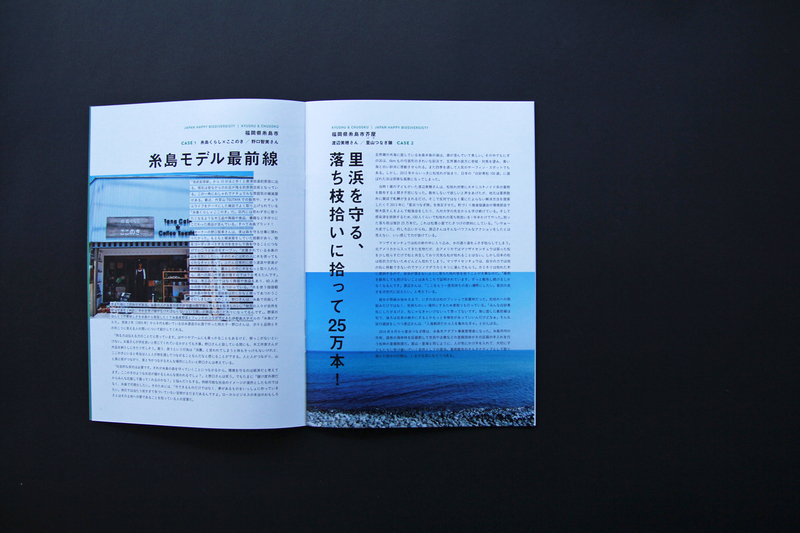 On the first issue of the book, we can read nine cases in Kyushu and Chugoku Region. 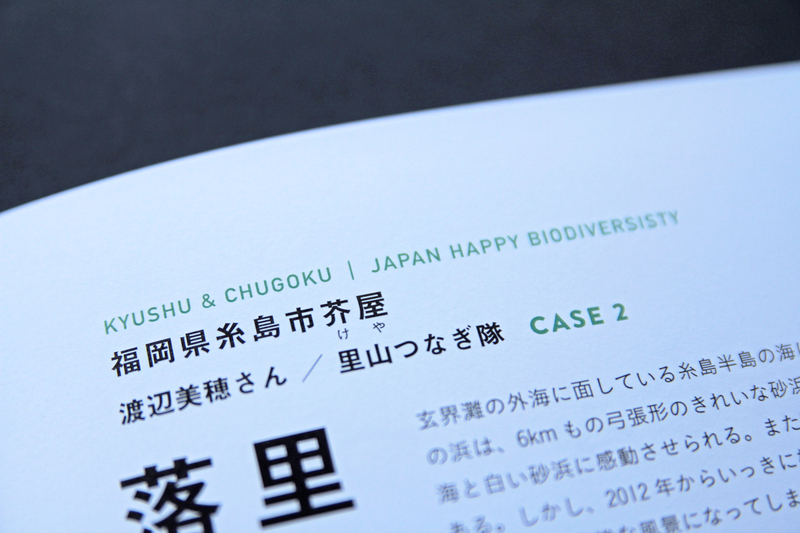 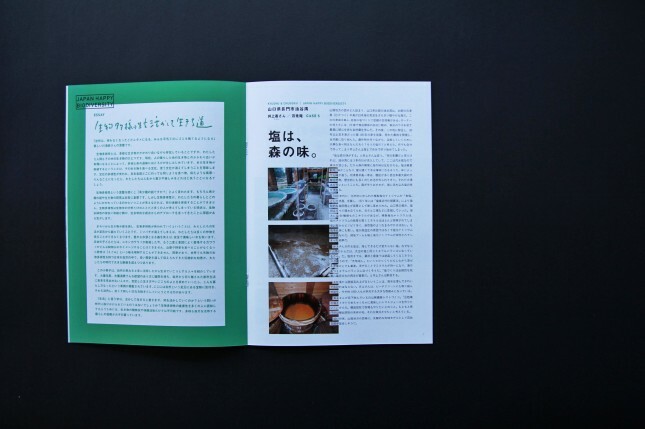 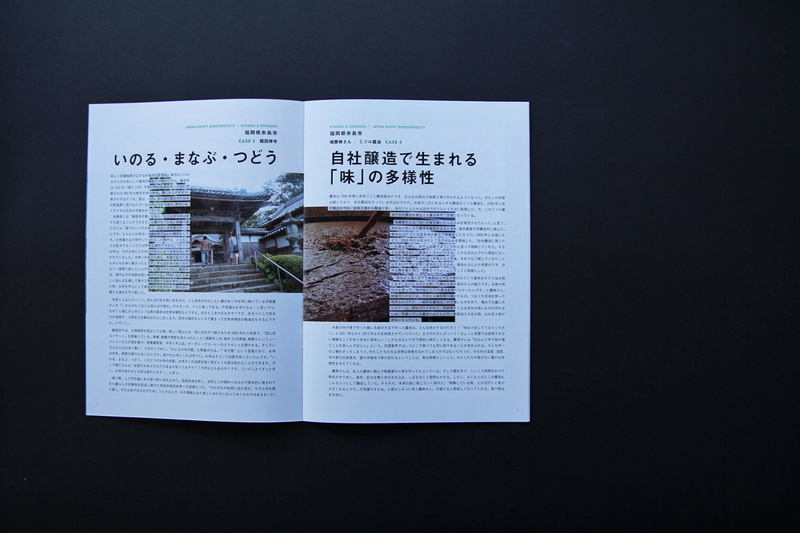 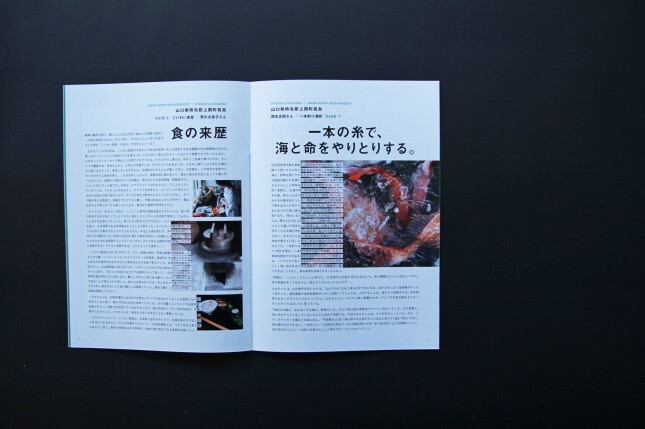 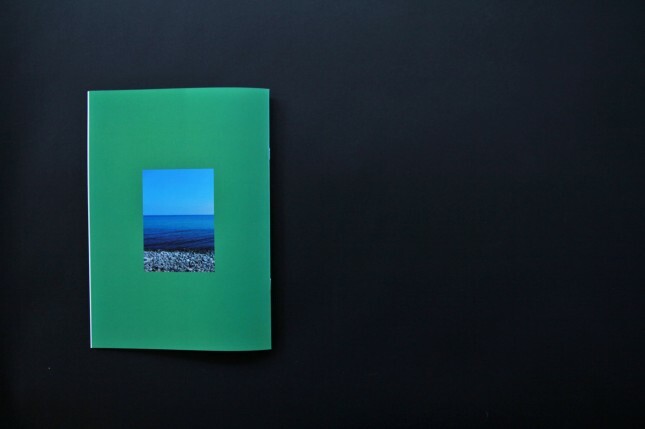 From now on, Other cases in Hokuriku and Kansai Region are to be published as the second and third issue of the book.